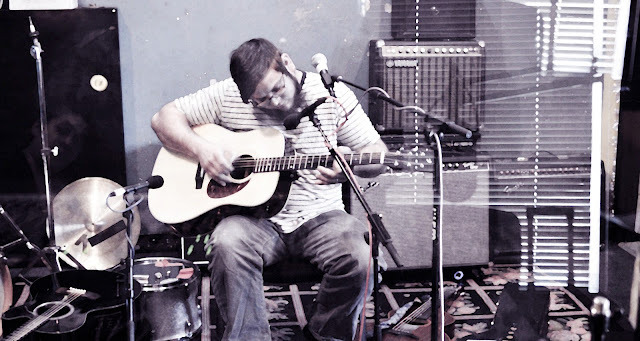 Native to Philadelphia, Matt Sowell is an instrumental acoustic guitar player. 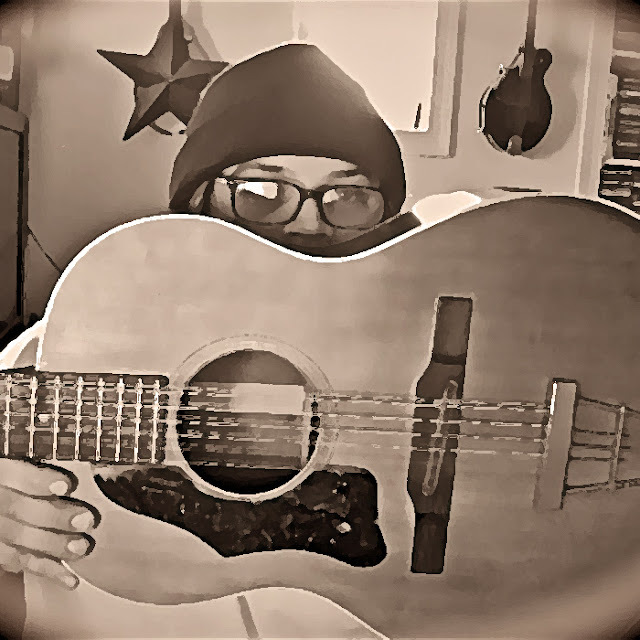 Influenced by the guitar finger stylings of Jack Rose and John Fahey, Matt is constantly being challenged and evolving as a guitar player. Combining American blues, attributes of Ragtime with hints of Indian Ragas in his pieces, the sonic textures that Matt plays will bring you to deep introspective places. "I play music that is influenced by the American Primitive genre. This is a phrase coined by John Fahey. 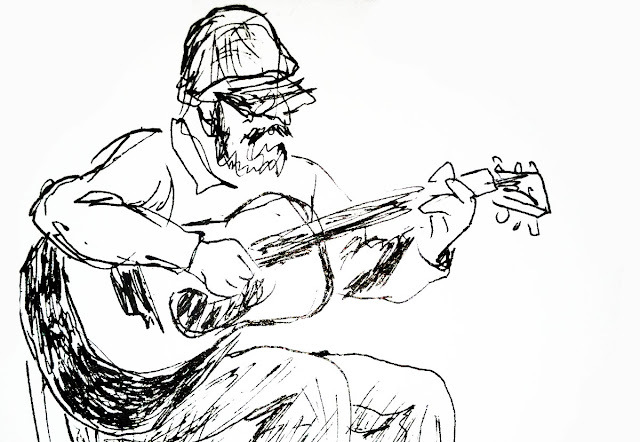 I play a fingerstyle that has a synchopated bass note with a driving melody on top. The project I am working on now "Dead Man's Rag" is all one guitar no multi tracking. Mississippi John Hurt was definitively influencial in this genre as well as Blind Blake, Reverend Gary Davis. I would be missing alot if I did not mention Jack Rose as my introduction to American Primitive. Jack's playing raised the bar so high the first time I saw him play that it rekindled the fire for my acoustic playing." Seeing and hearing Jack Rose. Somethings come naturally. Writing is wonderful, sitting down with tablature is torturous. I painted murals in high school and into my early twenties. I need to get back into that. Acrylic paints, oil pastels. I don't think there are much wall paintings left that I've done. Maybe some sign paintings on the side of Fox Cleaners in Southwest Philadelphia. I grew up in Southwest Philadelphia. We didn't have much when I was kid. I often sought refuge in the "down town" district. I would make my escape and skateboard at Love park in the late 80's early 90's. It was there I was exposed to punk music that had a DYI drive behind it. I was exposed to space 1026 as well that had a great art scene. Folks would go there on First Fridays to catch the latest paintings or installations. West Philadelphia also had a great scene as well. Plus cruising around and adapting bring fluid to my environment was huge in a creative way. All art is different and being able to appreciate the unique world(s) will refine ones tastes. It has with mine. If you could, what would you say to yourself 20 years ago, about your musical career? A 1960's Sovereign Silvertone, a custom Redhead Weissenborn (Nevin Fahs made this), a Gibson J180, a Fender acoustisonic Jr., and a hot condenser mic. A whole lot of tone bars. I have an album I recorded in Philadelphia just before I moved called Northwind Calling unreleased at this time, a newer project I began recording with Dakota Dave featuring new work that I have written since moving to the Twin Cities. And an experimental trio with Steve Palmer and Matt Helginsen.